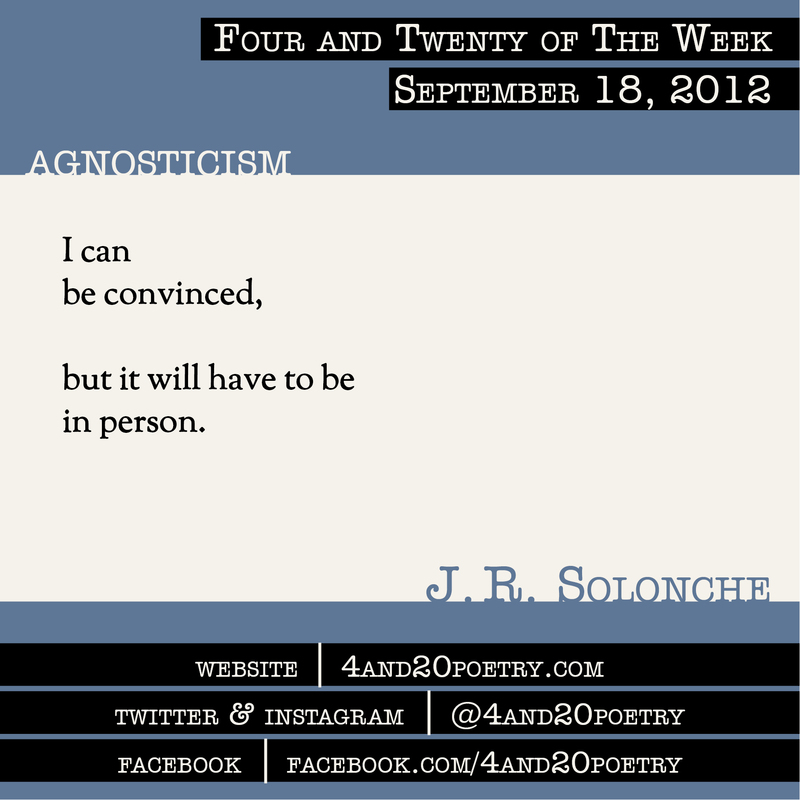 J. R. Solonche is a four-time Pushcart Prize nominee whose work has been appearing in magazines, journals, and anthologies since the early ‘70s. He is coauthor of Peach Girl: Poems for a Chinese Daughter (Grayson Books). This entry was posted on Tuesday, September 18th, 2012 at 4:20 am and is filed under Four and Twenty of the Week, Micro Poetry, Poetry. You can follow any responses to this entry through the RSS 2.0 feed. Both comments and pings are currently closed.